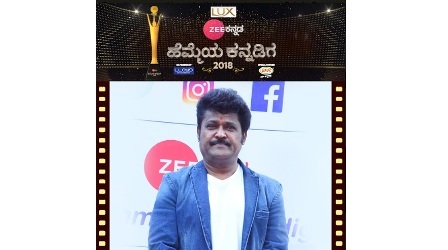 Zee Kannada’s Hemmeya Kannadiga 2018 is all set to recognize outstanding individuals from all walks of life, who have done Karnataka proud by honouring them across 22 award categories. Bringing together some of the most noble and admirable individuals under one roof, the star-studded event will be aired on 17th and 18th March, only on Zee Kannada. The exuberant Anushree and the ebullient Ramesh Aravind hosted the glorious evening that honored these individuals across 22 award categories namely – Proud Literary Figure, Proud Journalist, Proud Woman Achiever, Proud Sportsperson, Proud Icon, Proud Common Man, Proud Social Worker, Proud Theatre Activist, Proud Farmer, Proud Inspiration, Proud Lifetime Achiever, Proud Lyricist, Proud Voice, Proud Musician, Proud Supporting Role, Proud Director, Proud Cross Border Achiever, Proud Heroine, Proud Hero, Proud Honorary Award, Proud Film, Proud Young Talent. The night filled with glitz and glamour would remain to be an unforgettable one. Maari 2 Trailer From Tomorrow..!! Dhanush's Maari Trailer Out Now!